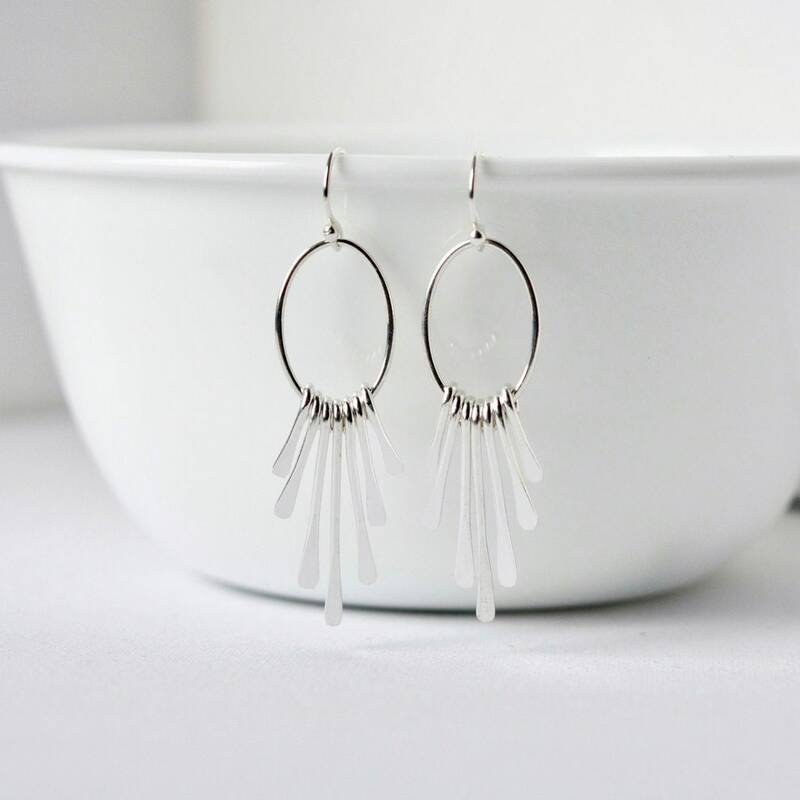 These sleek and swingy earrings are the perfect accessory to pair with that little black dress! 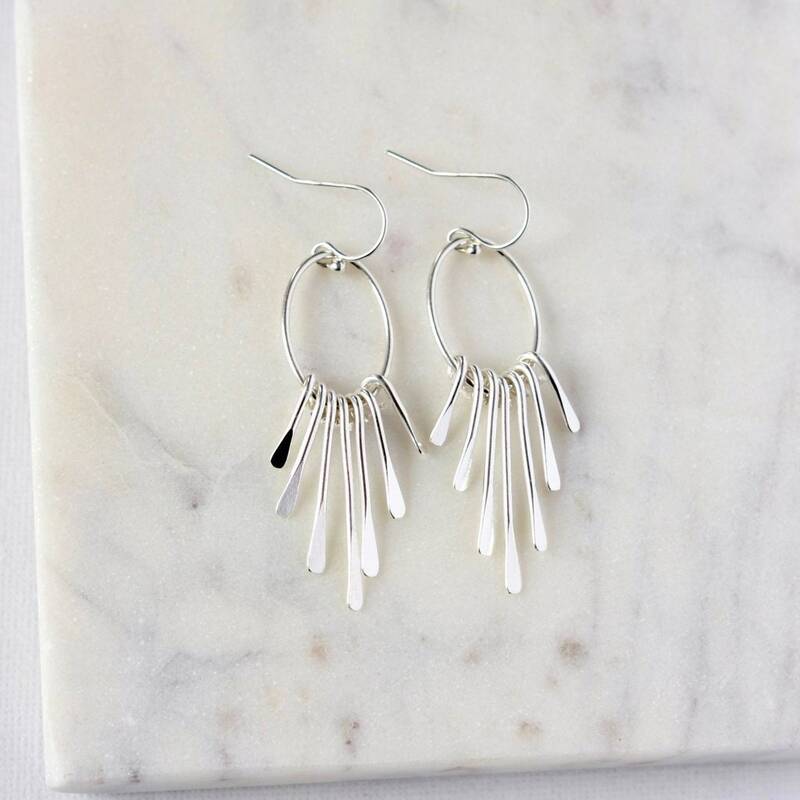 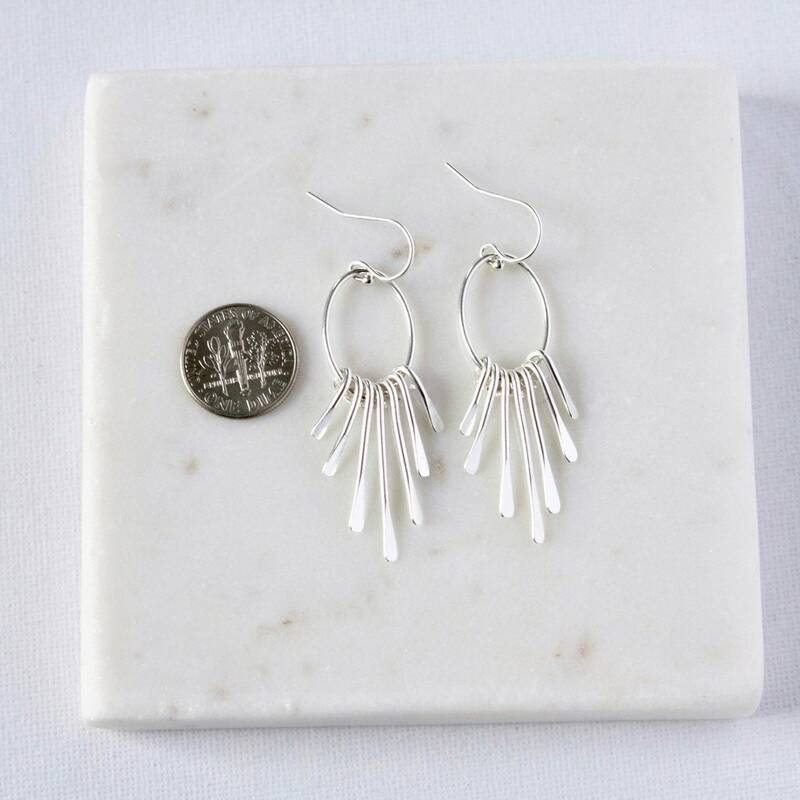 The earrings are sure to get noticed but the clean contemporary design makes a beautifully subtle statement. 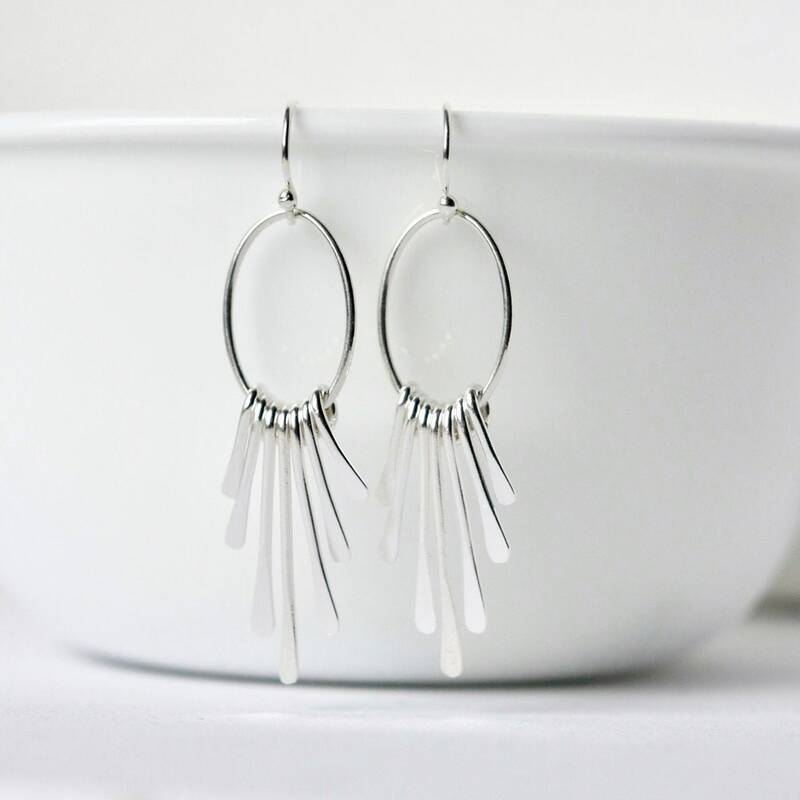 The earrings feature a graduated sterling silver fringe dangling from elegant sterling silver ovals. 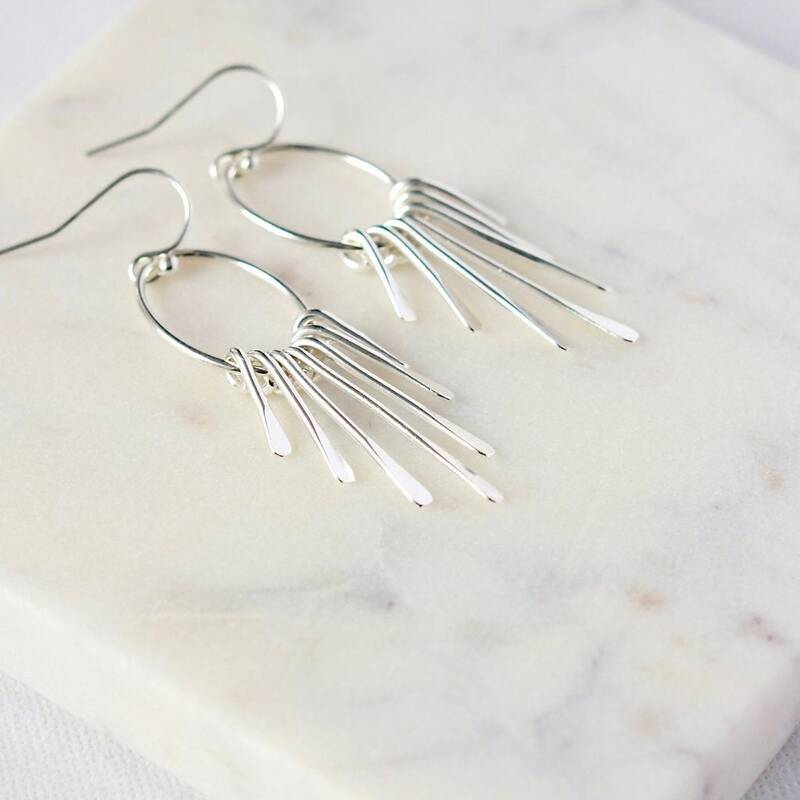 The silver is bright and shiny and it gives the earrings a gorgeous sheen when they sway with movement. 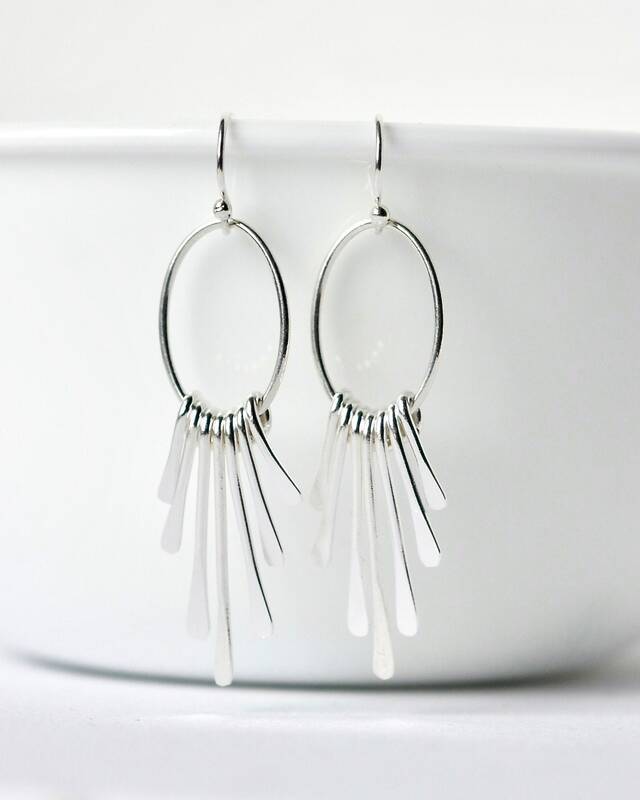 The earrings dangle about a little over 2 inches from the top of the sterling silver ear hooks.